Slow Fish in Genoa, Slow Food Nations in Denver and Cheese in Bra. Three international Slow Food events—with some ticketed activities—open to people of all ages, with a particular emphasis on younger generations. Read on to find out more about their food, themes and stars: fishers, farmers, herders and cooks from around the world! 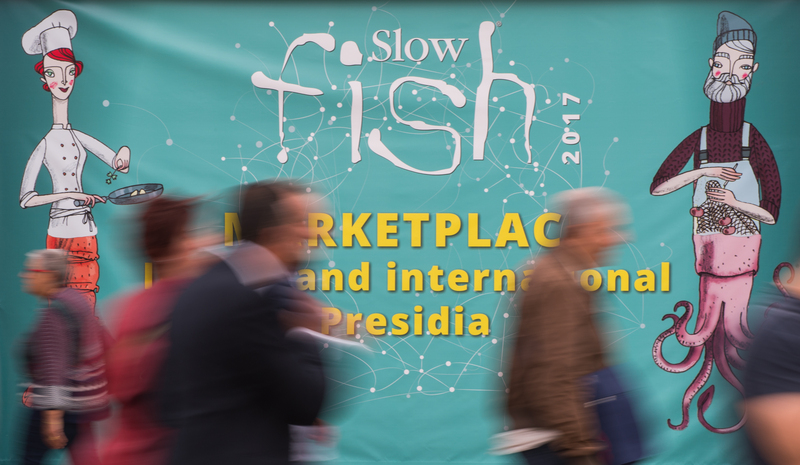 This year’s first big event is Slow Fish, to be held in the Italian coastal city of Genoa from May 9 to 12. The Sea: A Common Good is the theme of this ninth edition, organized as in previous years by Slow Food and the Region of Liguria. The focus is on positive messages, looking at the good practices that can help us ensure a better future and showing how consumers, fishers, chefs and scientists all have a role to play in protecting the sea, a complex and delicate shared resource whose health depends on our common care. Slow Fish will take place in the beautiful setting of the Porto Antico, the city’s old port, a few steps from its historic center and the heart and soul of its seafaring identity. As the city and its region face unprecedented challenges, more than ever before Slow Food wants to promote this area and make it an active player in Slow Fish. The connection between environmental, social and gastronomic issues has always been particularly strong at Slow Fish. The focus for the 2019 edition will be on virtuous behaviors that can help to mitigate our impact on global warming, as well as the fight against single-use plastic, conscious choices we can make that are good for our palates and our health, food security and the most common frauds, the importance of reading food labels, biodiversity and forms of clean aquaculture. Many old favorites and some innovations await visitors in Genoa. The preview presentation of the event (EN, FR, ES, IT) offers the curious a taster of the delicacies in store, or for a flavor of the atmosphere, watch the video of the 2017 edition. The official presentation of the event’s schedule and program of activities is scheduled for March. In the meantime, visit the website for all the latest updates. 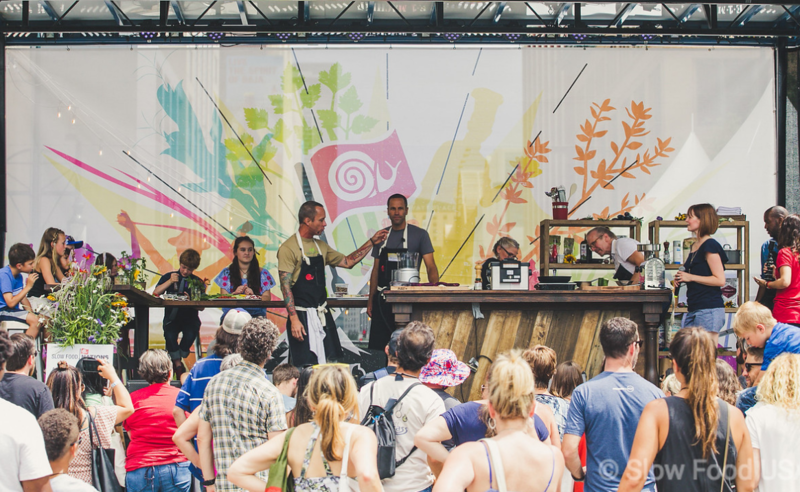 From July 19 to 21 the action moves to Denver, Colorado, for the latest edition of Slow Food Nations. The theme this year is Where Tradition Meets Innovation, with an exploration of how these two seemingly contradictory concepts can be harmonized. Innovative techniques, services and practices that can support traditional products and ensure financial sustainability for producers will be showcased at the event. Check out the website from May for the full program, and watch some of the highlights from last year for a taste of what’s coming to Colorado. Last but not least, be sure to mark September 20-23 in your diary. 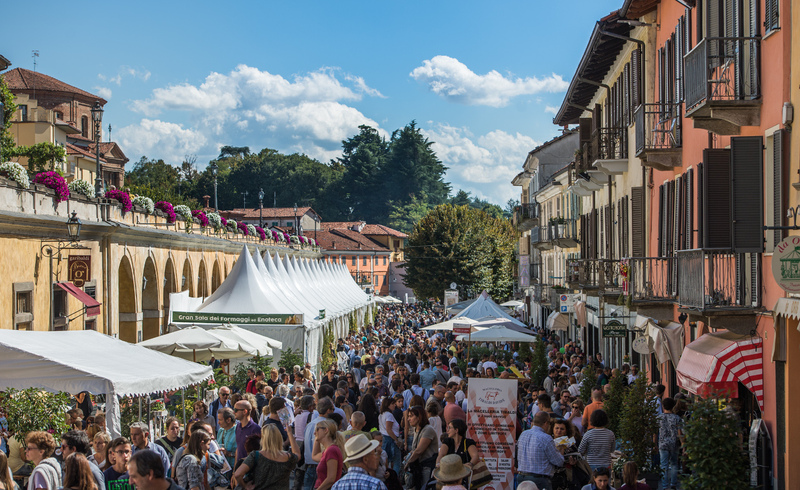 Organized by Slow Food and the City of Bra, Cheese is the world’s biggest international event dedicated to raw-milk cheeses and other dairy products, held in the Piedmontese town that’s also home to Slow Food’s international headquarters. The streets and squares of the historic center will once again become the ideal stage where farmers, cheesemakers, cheesemongers and affineurs can reassert the importance of good, clean and fair production methods. The event will turn a much-needed spotlight on to the importance of quality ingredients, animal welfare and environmental protection. This year, the 12th edition of the event will focus on a subject of crucial importance to the future of food. Natural Is Possible, the theme of Cheese 2019, represents another step along the journey that started with raw milk and has now reached natural cheeses, those made without the assistance of little packets of starter cultures prepared with bacteria selected in laboratories and reproduced industrially by a handful of multinationals. The aim is to show that cheeses made without selected starter cultures are richer in biodiversity and a more authentic expression of local terroir. The question of naturalness is relevant not only for cheese, but represents a wider challenge that also impacts cured meat, bread and wine. At Cheese 2019, we’ll be showcasing cured meats made without the use of nitrites and nitrates, wines without sulfites and selected yeasts and naturally leavened sourdough bread, because we believe that natural food is not only more delicious, but also better for our health and less harmful to the environment and its resources. The exact date of the official presentation of Cheese 2019 will be announced soon, but it will be in June. For now you can find a preview here (EN, IT) have a look back at some of the highlights from the 2017 edition, and make sure that you bookmark cheese.slowfood.it/en for all the latest updates. They are giants, We are Millions: an Industrial Livestock Breeder in Mexico Closes.